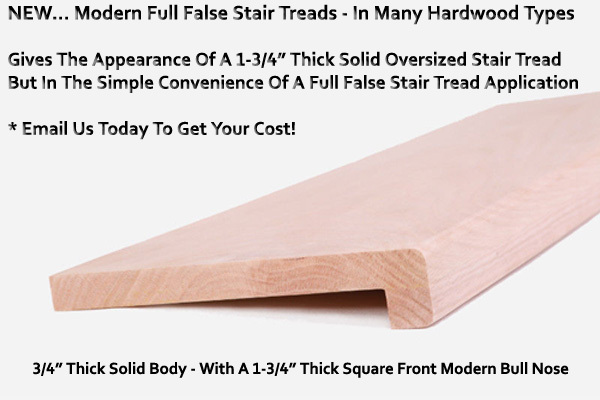 Retail & wholesale consumers from Alberta can shop and buy wood stair treads direct from us online and great discount prices. 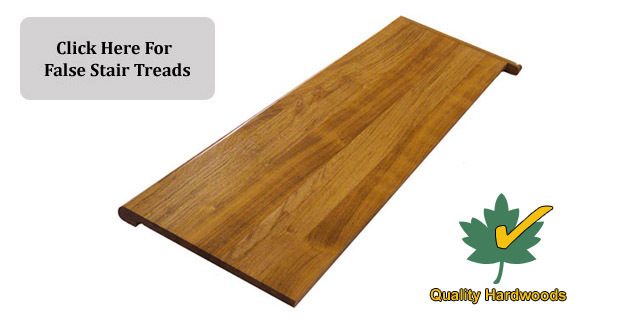 We are leaders in direct home delivery of Canadian made solid stair treads. We also have our very own custom spray booth shop, so we offer prefinished stair treads in clear coat, MinWax stain or custom stain matched to your flooring sample. Customers can buy unfinished treads if they wish to complete the finishing task themselves. 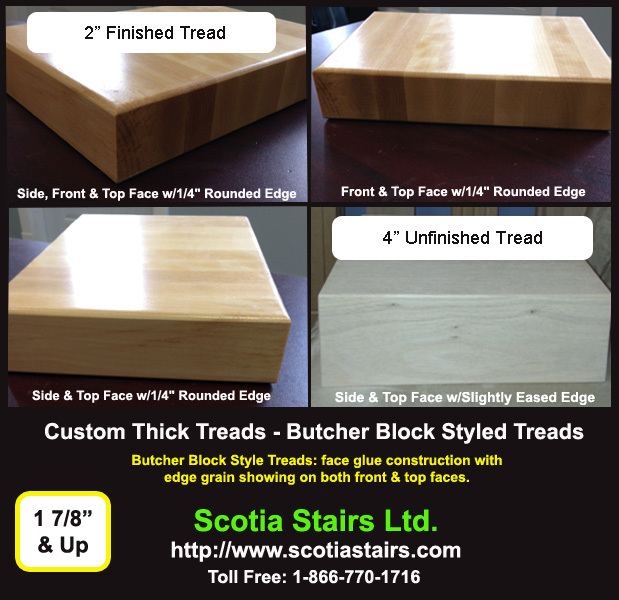 Buy stair treads in Alberta direct from us for a discount price of what you would pay at big building supply stores. 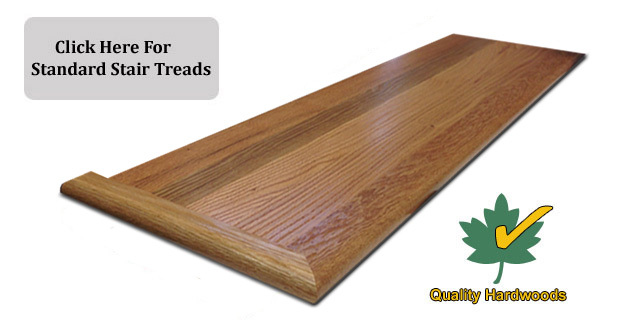 Stair Treads Canada is a trusted retail supplier with over 1,000+ shipped wood stair tread orders in the last 5 years. We are known as a leading tread source for all Alberta consumers. 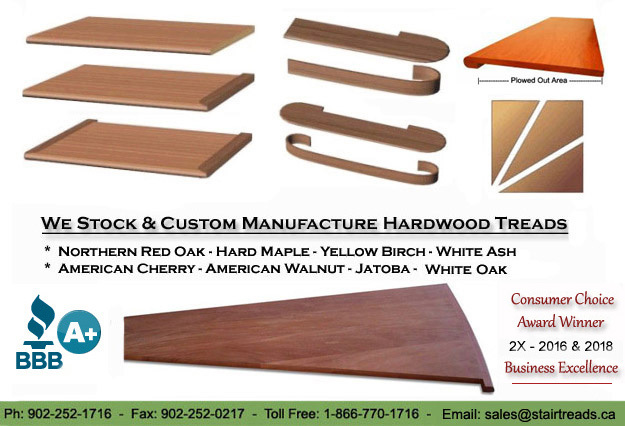 Home owners, contractors, retail customers looking to buy stair treads for a great price from a BBB A+ Rates company look no more as we are your one stop shop in Canada for hardwood stair treads. We have built our rock solid reputation on customer service, quality products and competitive pricing.